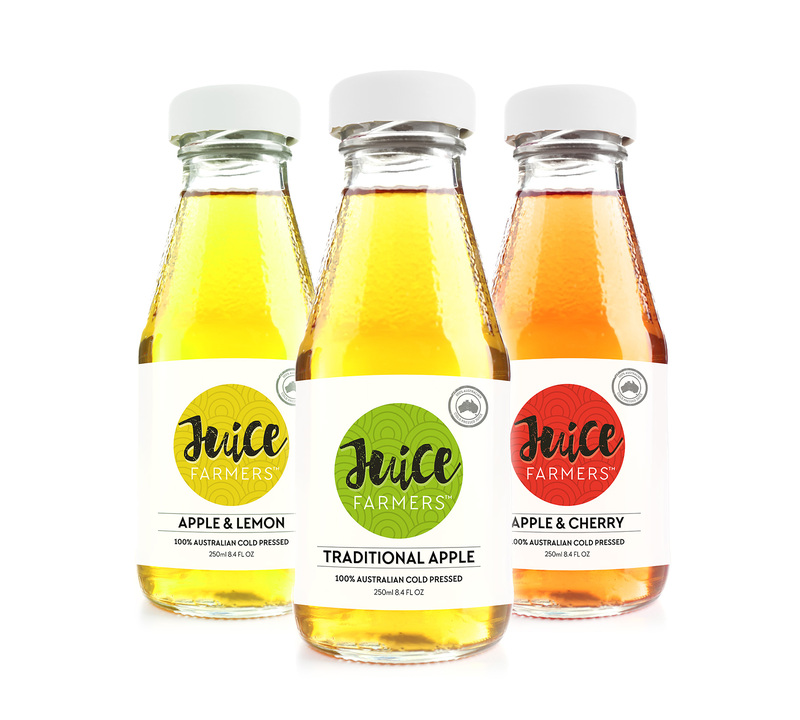 Juice Farmers is a new drink range made from 100% Australian cold pressed apple juice. Mixed with a range of other fruit flavours, Juice Farmers is focussed on the Asian export market where there is strong demand for high quality, Australian juices which are not made from concentrate. Given this is an all natural and nutrient rich juice, the identity needed to convey a sense of freshness and vitality which we achieved with the expressive and textured script used on the word “juice”. The elegantly minimal typography employed on the word “farmers” also conveys that this a modern and premium product. Furthermore, a green and red colour scheme was chosen to be suggestive of apples, which is the base ingredient of the juice range. Two by Zero will be working on a range of design materials for the brand for bottle labels, packaging and a product website.